The Blacklist: Redemption is planning a big finish to its first season. Famke Janssen spoke about the finale for season one in an interview, and she promised that fans will receive answers about the big questions raised during the season. Are you a fan of The Blacklist: Redemption? Tell us what you think. More about: NBC TV shows: canceled or renewed?, The Blacklist: Redemption, The Blacklist: Redemption: canceled or renewed? The Blacklist: Redemption: Cancelled or Renewed for Season Two on NBC? The Blacklist: Redemption: Season Two; Would You Watch? The Blacklist Redemption was slow to start. It took a couple of episodes for the writers to connect the audience with the main characters. By the third episode, things got interesting. Tension of Tom’s relationship with Howard and Scotty was emphasized and the over-arching storyline became clearer and interesting. This show needed more than 8 episodes to find its place, especially with the difficult Thursday night slot. It needs a second season or at least half a season to capture its audience. Another night would also help greatly. An enjoyable show with not enough episodes to tell the story and give depth to its characters. A longer season would have let the viewer identify with the characters and give meaning to some of the great action sequences. Really enjoyed the last 2 episodes where Howard’s complexities, Tom’s conflicted feelings and Solomon’s slight touch of humanity were shown. Doubt it will be renewed but I think it hardly had a chance given only the 8 episodes. 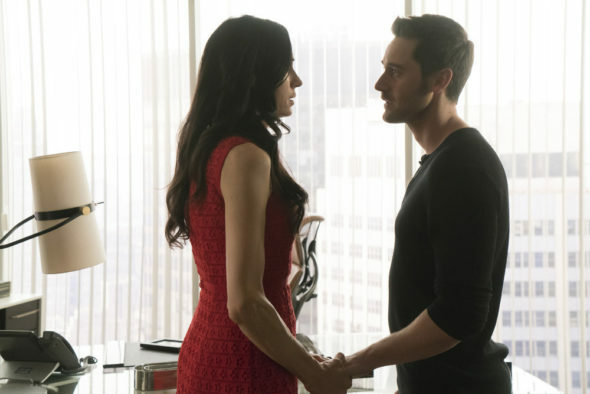 Ryan Eggold and Famke Janssen are huge letdowns. I liked Tom Keen a lot in The Blacklist and I think everybody liked Xenia O-something in Bond and Jean Grey in X-Men. But as far as Redemption goes, they’re more zombies than actors. At times Ms Janssen seems more a little girl screaming for presents than a seasoned intelligence operative and team leader. And Ryan Eggold’s Christopher Hargrave is just another secret agent. I just don’t see the complexity of the character in Eggold’s portrayal. However Edi Gathegi is doing a terrific job as amoral but brilliant agent Mister Solomon. I really love Famke Jamssen to death she is really good in the show & hope show gets a 2nd season. After everything Tom did on Blacklist to save Liz & to be a good father it didn’t ring true that he would just up & leave for this. He needs to go home & we need Spader back in the hotseat on Blacklist. This just needs to end with resolution to Tom’s parentage situation. Bring in Solomon and his parents to work with Spader to clear those Blacklister’s even faster! lacks the strength of blacklist, no Spader to carry the show, pretty much a disappointment. Much like 24. I am glad the show will be answering the unanswered questions during the finale since, it looks to be the first and final season of The Blacklist:Redemption.